The Board of Directors of Canara Bank would take a decision on the takeover of assets and liabilities of Bangalore-based Amanath Cooperative Bank once the due diligence report is submitted. The bank is undertaking due diligence of the crisis-hit cooperative bank and the report is expected by the end of August, a top official of the Canara Bank said. the possibility of taking over the cooperative bank’s assets and liabilities. The board is empowered to take a decision on this,” R K Dubey, chairman and managing director of Canara Bank, told Business Standard. He said, the process of due diligence got delayed due to Ramzan and it is in the final stages now. Presently, the cooperative bank is going through a crisis after the Reserve Bank of India (RBI) issued a circular in May this year directing the bank not to allow withdrawal of more than Rs 1,000 in six months. Subsequently, the depositors had damaged properties of the bank. Later, the RBI had ordered the bank to cease all operations till further orders. Dubey said, Canara Bank has not taken any decision as of now and is waiting for the due diligence report. “We don’t need government of India approval to take over the troubled cooperative bank. Our board has the powers to take a call on this issue because we are planning to take over only the assets and liabilities,” he said. Presently, the Amanath Cooperative Bank has Rs 400 crore deposits mobilised from over 240,000 account holders. It has a loan book of Rs 240 crore. It also has 40,000 shareholders. The bank is said to have registered a loss of around Rs 113 crore last fiscal. The equity capital is at Rs 7 crore. The bank was started in January 1977, with 3,000 members and now has 41,000 members. The bank has 15 branches in Karnataka and has been focusing small savers, mostly in areas with few or no bank branches. The bank has 419 employees on its rolls. RBI conferred the scheduled status on Amanath Bank effective from January 2000 and has included it in the second schedule to the Reserve Bank of India Act, 1934. 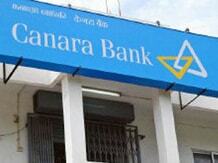 Canara Bank plans to expand its overseas branch network during the current fiscal. It is set to open a branch at Johannesburg in South Africa and Frankfurt in Germany by end of this fiscal. “We have received approval from Reserve Bank of India and Central Bank of South Africa to open our first branch in South Africa by December this year. Our officials were in Johannesburg last week to finalise the location and building,” R K Dubey, chairman and managing director, Canara Bank, told Business Standard. He said the bank is awaiting regulatory approvals in Germany for opening a branch in Frankfurt, which is likely to happen by March 2014.Presently, Canara Bank has five overseas branches - two in United Kingdom, one each in Bahrain, Shanghai and Hong Kong. These branches together contribute about 4.5 per cent of the bank’s total business of Rs 6,31,863 crore as of June 2013.